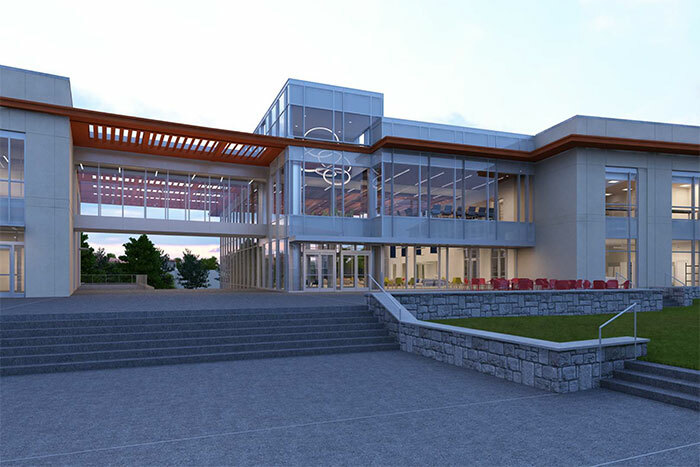 The Dobbs University Center will close the day after Commencement, with demolition beginning shortly after, to make way for Emory's new Campus Life Center, shown here in a design rendering. 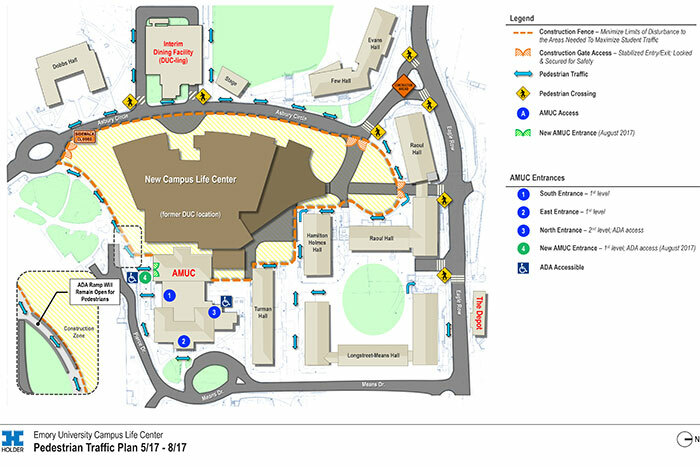 The construction project requires rerouting pedestrian traffic in the area and relocating services previously housed in the DUC. With the new Campus Life Center (CLC) project underway, summer 2017 is shaping up to be one of Emory’s busiest ever. The current Dobbs University Center will close the day after Commencement, with demolition beginning shortly after, to make way for the new facility. New construction brings improvements and inconveniences, and a capital project spanning more than two years means a lot of both for the Emory community. Think of it as the tradeoff for the extraordinary facility that the campus will be able to enjoy with completion of CLC construction by mid-2019. Meanwhile, the following information will help with navigating the challenges of rerouted pedestrian traffic, relocated services and alternative entrances this summer. The Dobbs University Center (DUC) will close May 9 and crews will begin installing fencing to close adjacent areas to prepare for demolition of that structure. The demolition process for the DUC begins May 15. The Alumni Memorial University Center (AMUC) — the older building attached to the east end of the DUC — will remain in use and open throughout the construction period. It is home to Campus Life central administration and other offices and spaces. The AMUC will continue to be accessible via three existing entrances on the north, south and east sides of the building. The north entrance is ADA accessible; a new ADA-accessible entrance will be added to the south side and open in August 2017. See a map of the area for more detail. Following are new locations for services now in the DUC. Some will be temporary; others may be permanent. Services will relocate to new spaces by May 15 until completion of CLC construction. Note that the floors of the AMUC will be relabeled from one through four, with four being the top floor of the building. Click the links below for further information about Campus Life Center construction. Look for updates on social media at #CLCupdate.